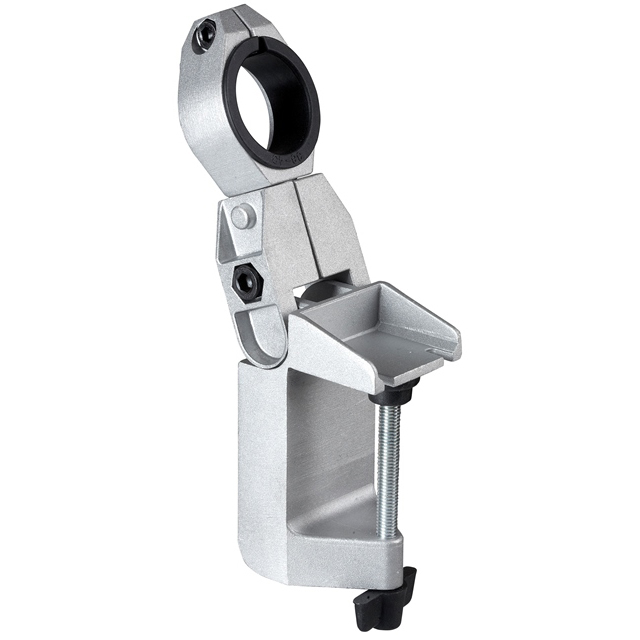 The tile bit ‘Porc+’ is a new generation Tungsten Carbide bit. Due to its facette ground tip and its hardness (over 2000 HRA) you can have very good results in very hard materials such as porcelain tiles at a drilling speed of 400-600 RPM. 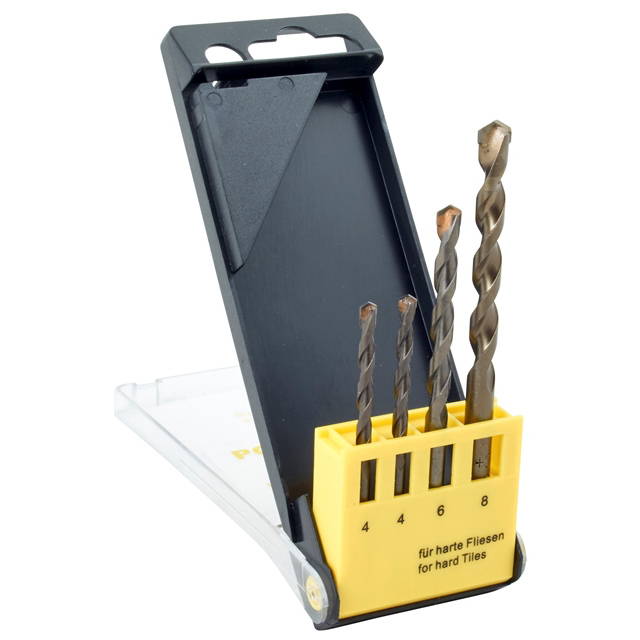 This 4 piece Porc+ Set includes 2 x 4mm bits, a 6mm bit and an 8mm bit. 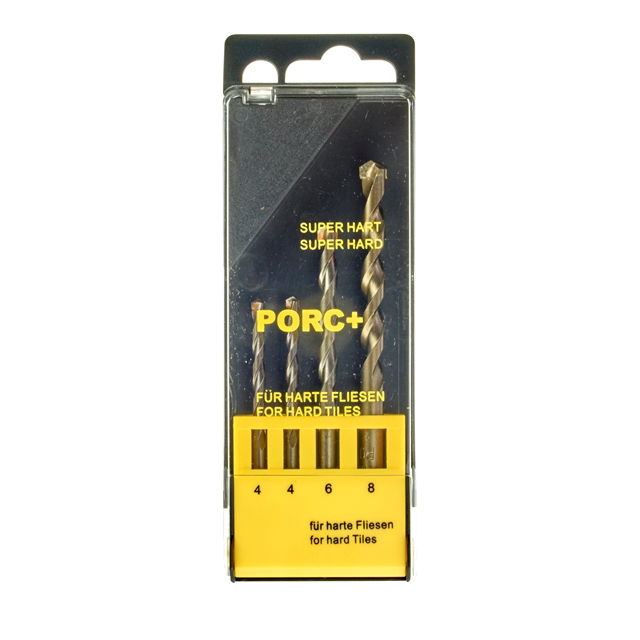 The tile bit ‘Porc+’ is a new generation Tungsten Carbide bit. Due to its facette ground tip and its hardness (over 2000 HRA) you can have very good results in very hard materials such as porcelain tiles at a drilling speed of 400-600 RPM. You do not need a centering device and cooling is needed. 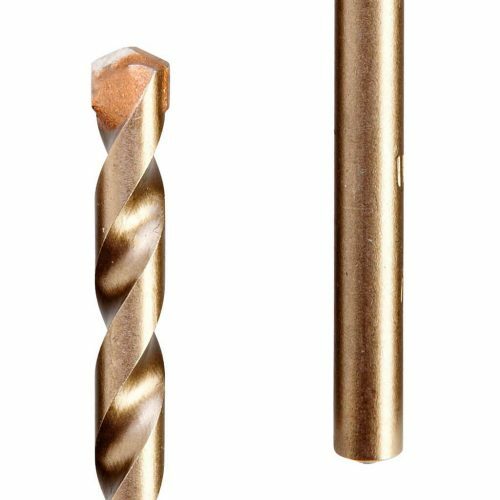 If you want to drill holes bigger than 5 mm please predrill with a smaller size first. 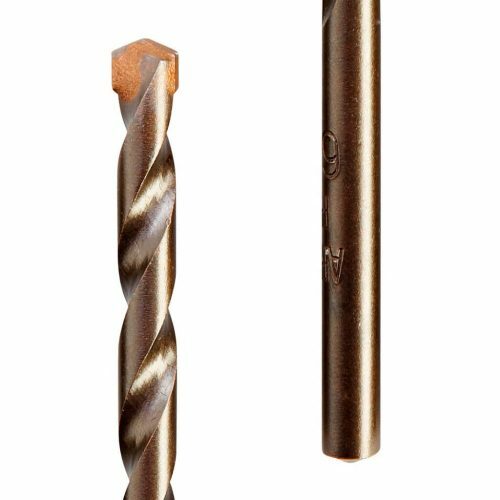 If you have a big job on porcelain tiles, marble or granite, please see out Diamond Core Drill Bits.